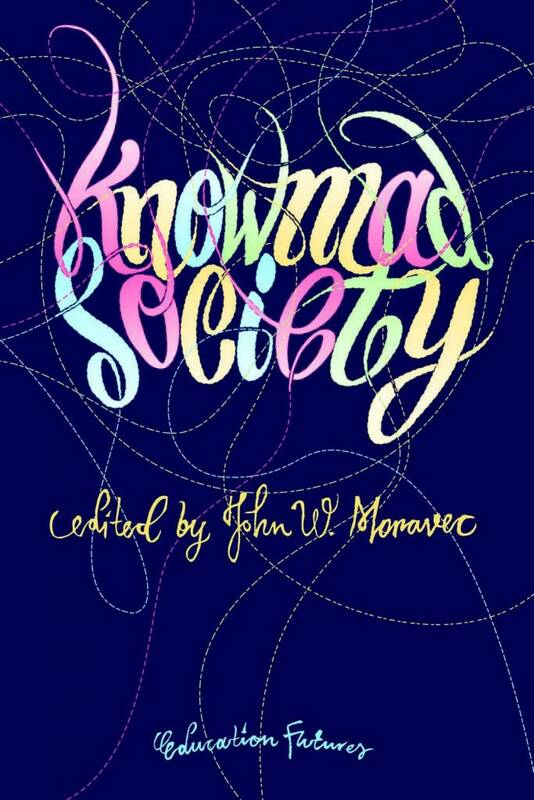 I am very pleased to share that the print edition of Knowmad Society is released, and it is beautiful! You can read it now at https://www.knowmadsociety.com – the book is available in print, PDF, iOS, and Kindle editions. If you enjoyed a free copy of the book, please consider purchasing a printed copy. It helps us recover our costs, and, as I can’t say enough: It is beautiful. A collaboration between John Moravec, Cristóbal Cobo, Thieu Besselink, Christel Hartkamp, Pieter Spinder, Edwin de Bree, Bianca Stokman, Christine Renaud, and Ronald van den Hoff, Knowmad Society explores the future of learning, work, and how we relate with each other in a world driven by accelerating change, value networks, and the rise of knowmads.